It is more than a decade since the Investments and Securities Act[i] was enacted but the controversy surrounding the parallel jurisdiction of the High Court of a State and the Investments and Securities Tribunal (IST) in respect of civil matters arising from the operation and application of the ISA appears far from settled. As a result, many legal practitioners, renowned academics and even the courts of law have expressed different opinions on this issue. Perhaps this conundrum stems from the fact that jurisdiction is the life wire of a court and the blood that gives life to any action before a court; and accordingly no court can adjudicate over a matter when it does not have jurisdiction. [ii] More so, the relevance of the State High Court and the IST to our legal system cannot be overstated, as such necessitating a clear-cut distinction between the jurisdiction and roles of both courts. Irrespective of the trifling dissimilarities with regards to the qualification of the jurisdiction of the High Court of a State by the superior courts, it is however crystal clear that the Court has astronomical jurisdiction birthed from the CFRN, 1999 with respect to civil and criminal proceedings in Nigeria. There is established a body to be known as the Investment and Securities Tribunal to exercise the jurisdiction, powers and authority conferred on it by or under this Act. The Tribunal shall have exclusive jurisdiction on matters specified in this Act. The clear interpretation of the act of the National Assembly in 1999 when it created the Investments and Securities Tribunal as a specialist Court simply means that the exclusive jurisdiction of the Federal High Court would no longer extend to matters affecting the operations of the capitals and securities market, but remain limited to matters that may arise from the provisions of BOFIA and CAMA and I so hold. The aforestated dictum of the Court seems to suggest that because the National Assembly via an Act created a specialist court with exclusive jurisdiction, then all other courts of law including those seemingly given unlimited powers by the CFRN, 1999 in respect of civil and criminal matters will have their jurisdiction adjusted to conform to the ISA. The connotations of the decision in the Weathzone case to the extent that the IST’s jurisdiction overrides the jurisdiction of a court created by the CFRN, 1999 in the event that the express jurisdiction of the latter as provided for in the Constitution conflicts with the jurisdiction of the IST as set down in the ISA cannot be correct with due respect. If any other law is inconsistent with the provisions of the constitution, this constitution shall prevail, and that other law shall to the extent of the inconsistency be void. Therefore, nothing that exists outside the CFRN, 1999 can purport to divest the State High Court of its jurisdiction as expressly provide for in the Constitution. The jurisdiction of the High Court of the Federal Capital Territory Abuja is set out in section 257(1) of the Constitution of the Federal Republic of Nigeria, 1999 (as amended). It provides as follow. “Subject to the provision of section 251 and any other provision of this Constitution and in addition to such other jurisdiction as may be conferred upon it by law, the High Court of the Federal Capital Territory, Abuja shall have jurisdiction to hear and determine civil proceedings in which the existence or extent of a legal right, power, duty, liability, privilege, interest, obligation or claim is in issue…” Thus the High Court of the Federal Capita Territory, Abuja, is a court of unlimited jurisdiction subject to any limitation imposed upon it by section 251 of the Constitution or any other provision thereof… It cannot be taken away by section 284(1) of the Investments and Securities Act, 2007, which is inferior to the Constitution of Nigeria, 1999. The State High Court equally has jurisdiction to entertain any dispute covered by or arising under the Investment and Securities Act including a dispute between a capital market operator and its client like the dispute in the present case, by virtue of the unlimited jurisdiction of the State High Court to hear and determine any civil or criminal proceeding vested on it by Section 236(1) of the 1979 Constitution of Nigeria, applicable when the cause of action arose and Section 272 of the 1999 Constitution of Nigeria, applicable when the suit was filed and up to date. 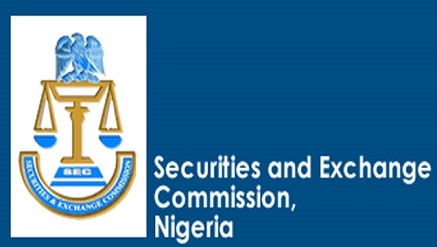 As it is, the State High Court and the Investment and Securities Tribunal have concurrent jurisdiction to entertain cases involving disputes covered by or arising from the Investment and Securities Act. It is true that the IST has jurisdiction to entertain all civil matters that may arise from the operation and application of ISA but the preponderance of authorities suggest strongly that its jurisdiction, though labelled “exclusive” cannot in anyway divest the perceived unlimited jurisdiction of the High Court of a State to also entertain all matters that may arise from the application of the ISA. Without any doubt, both the IST and the State High Courts have equal and concurrent jurisdiction with respect to the ISA and all the relevant portions of the ISA that exist to divest all courts of the jurisdiction to entertain matters that arise from the operation of the ISA cannot apply to the High Court of a State as the latter’s jurisdiction is deeply rooted in the Constitution. It goes without saying that where there are conflicts between the provisions of the ISA and the Constitution, all those conflicts or inconsistencies must be resolved against the ISA. [i] Investments and Securities Act, 2007 (Hereafter, ISA). [ii] See Dangana v. Usman (2013) 6 NWLR (Pt. 1349) 50. [iii] Cap. C23, Laws of the Federation of Nigeria, 2004 (Hereafter, CFRN, 1999). [iv] See section 257(1) CFRN, 1999 (as amended) for the equivalent provision as it relates to the High Court of the Federal Capital Territory. See also Mailantarki V. Tongo & Ors (2017) LPELR-42467 (SC). [v] (2008) 10 NWLR (Pt. 1095) 293. [viii] (2008) 7 NWLR (Pt. 1086) 421. [ix] (2008) All FWLR (Pt. 398) 235. [x] See SEC v. Kasunmu (2009) 10 NWLR (Pt. 1150) 509. [xi] See generally section 6(1)-(5) CFRN, 1999 (as amended). [xiii] (2012) 10 NWLR (Pt. 1307) 115 @ 161. [xiv] See generally, section 312 of the ISA, 2007. [xv] (2009) 13 NWLR (Pt. 1157) 226. [xvi] The decisions in Ngige & Anor v. INEC & Ors (2014) LPELR-25413 (CA); Obayuwana v. Governor, Bendel State & Anor (1982) LPELR-2160 (SC); N.U.E.E. v. B.P.E. (2010) All FWLR (Pt.525) 201; and National Union of Electricity Employees & Anor v. Bureau of Public Enterprises (2010) LPELR-1966 (SC) also epitomize this axiomatic principle of law. [xvii] (2015) LPELR-24495 (CA) per Ekanem, J.C.A., (Pp.20-22, paras. G-A). [xviii] (2015) LPELR-24486 (CA) per Agim J.C.A., (Pp. 25-33, paras.A-A). [xix] Investments and Securities Act, No. 45, 1999. This Act was repealed by the ISA, 2007. See section 314(1) of the ISA, 2007.